My eleven year old daughter has recently been reading the classic Narnia series by C. S. Lewis. I asked her if she had finished the first book, The Lion, the Witch, and the Wardrobe, and, after confirming that she had, I went on to inform her that C. S. Lewis was a Christian theologian, and that the Narnia series is heavily based on Christianity. In particular, I told her that Aslan, the "Lion" of the title, is actually intended to represent Jesus, that his death on the Stone Table is intended to represent the crucifixion of Jesus, and that his return to life is intended to represent the resurrection of Jesus. Unsurprisingly, my daughter was not pleased to learn these things. In fact, she was somewhat distraught, saying that she didn't want to read a Christian book. While I certainly understood why this bothered her, I told her that the Christian elements were there whether she knew it or nor, and that she was better off knowing they were there than not. In fact, as the conversation developed, I pointed out that all non-Jewish fiction includes problematic elements of non-Jewish thinking, even when they are not explicitly religious. (This is also true for a great deal of "Jewish" fiction, including many of the books published by Orthodox publishers.) On the contrary, the most problematic literature is precisely that literature where the problematic elements are subtle and inconspicuous. When you read a book with an obvious agenda, you instinctively raise your guard and you challenge the assumptions and assertions in the text that endorse that agenda. But when the agenda is not obvious to the casual reader (as in the Narnia series), and even more so when the book truly has no agenda (because the author takes these premises for granted), then our guard is lowered and we are much more likely to accept the ideological, moral, cultural, and religious premises of the author without even realizing that we are being influenced. Midrashically, these four species are identified with the four "exiles" of the Jewish people: Babylonia, Persia, Greece, and Rome. (ויקרא רבה יג:ה) The exile of Rome, which continues until today, is associated with the pig, which has the superficial sign of kashrus (split hooves) but lacks the inner sign (chewing the cud). ר' יוחנן ור"א דאמרי תרווייהו ראשונים שנתגלה עונם נתגלה קצם, אחרונים שלא נתגלה עונם לא נתגלה קצם. אמר רבי יוחנן טובה צפורנן של ראשונים מכריסו של אחרונים. Why was the first Temple destroyed? Because of three sins that were in its time: Idolatry, sexual immorality, and bloodshed. ... But, in the time of the second Temple, when they were busy with Torah, mitzvos, and acts of benevolence, why was it destroyed? Because of the sin of unjustified hatred that existed at that time. This teaches that the sin of unjustified hatred is equal in severity to the three sins of idolatry, sexual immorality, and bloodshed. Rabbi Yochanan and Rabbi Eliezer both said, "For the earlier people (i.e. the exiles of the first Temple), whose sins were revealed, the end (of their exile) was revealed. (The prophet told them that they would return after 70 years.) For the later people (i.e. the exiles of the second Temple), whose sins were not revealed, the end (of their exile) was not revealed." Rabbi Yochanan said, "The fingernail of the earlier ones was greater than the belly of the later ones." 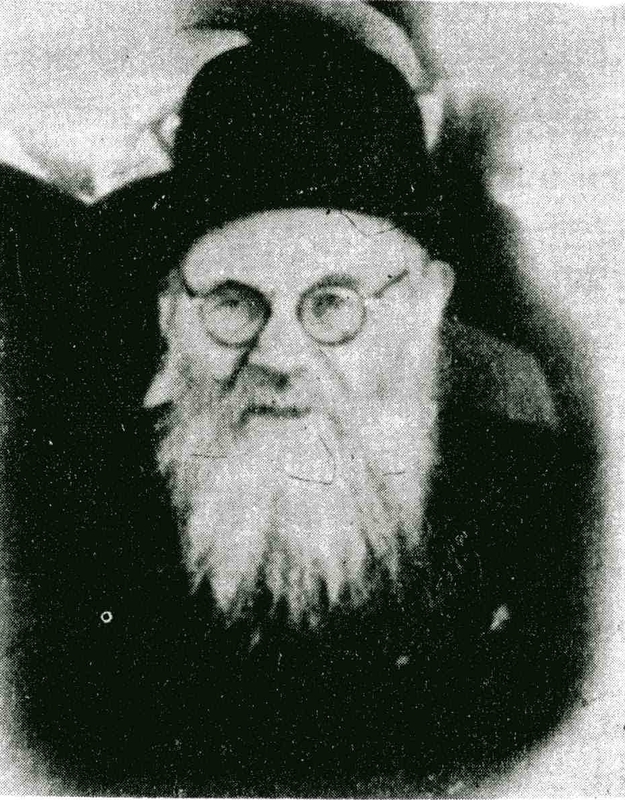 The Vilna Gaon sees in this final statement of Rabbi Yochanan, about the "fingernail" and "belly" of the two generations, an allusion to the two signs of a kosher animal. The early generations are compared to the animals lacking the external sign of kashrus, the split hooves, in that their sins were open and acknowledged, whereas the later generations are compared to the pig, which has the superficial sign of kashrus, but does not chew of its cud, an internal process that is largely hidden from view. Thus, the generation of the first Temple, whose sins were revealed and acknowledged, was punished less severely than the generation of the second Temple, which maintained the superficial appearance of righteousness, but was internally sinful. שהרשע המגלה רשעתו ירחיקו העם ממנו ולא ילמדו ממעשיו אבל הרשע אשר הרשעה טמונה בקרבו הוא לאבן נגף ולצור מכשול אשר יתלכדו העם אחריו והביטו אחר דבריו אשר במרמה ידבר. The people know to distance themselves from an openly wicked person, and they do not learn from his actions, but a wicked person whose wickedness is hidden within is "a stone of stumbling and a rock of offence" who ensnares the people to follow him and to pay heed to his deceitful words. Often, the biggest dangers are the least obvious, precisely because they are not obvious, and they therefore fail to elicit the normal protective responses against a threat. This is true in every area of life, including, perhaps especially, in the education of our children. While we certainly need to carefully screen the literature and entertainment that we expose our children to, we have to bear in mind the the biggest threats to be found in these areas are not necessarily the obvious ones. While we obviously shouldn't expose our children to outright immorality, the real challenge is often in the apparently "innocent" and "harmless" materials that we often expose our children to without hesitation. For many parents, including myself, the natural gut reaction to this is to insist that our children only be exposed to purely "kosher" materials. Unfortunately, while this might be the ideal, I do not believe this is a realistic option for our children. Whether we acknowledge it or not, all of our homes, even the most insular, are permeated with the influences of the non-Jewish world. In the world in which we live today, there is no truly effective way to completely shut out the values, mores, and ideas of the non-Jewish world surrounding us. (As I mentioned earlier, more often than not, even ostensibly Orthodox Jewish literature carries such baggage within it.) As such, a simple policy of restricting our children's exposure is not only futile, but ultimately dangerous, as it fails to effectively train our children to recognize these influences and deal with them. So, while a certain degree of screening is certainly necessary, our general approach has to be to teach our children how to read (and watch) critically, from a proper Torah perspective. Of course, this requires, first and foremost, a very strong Torah education. 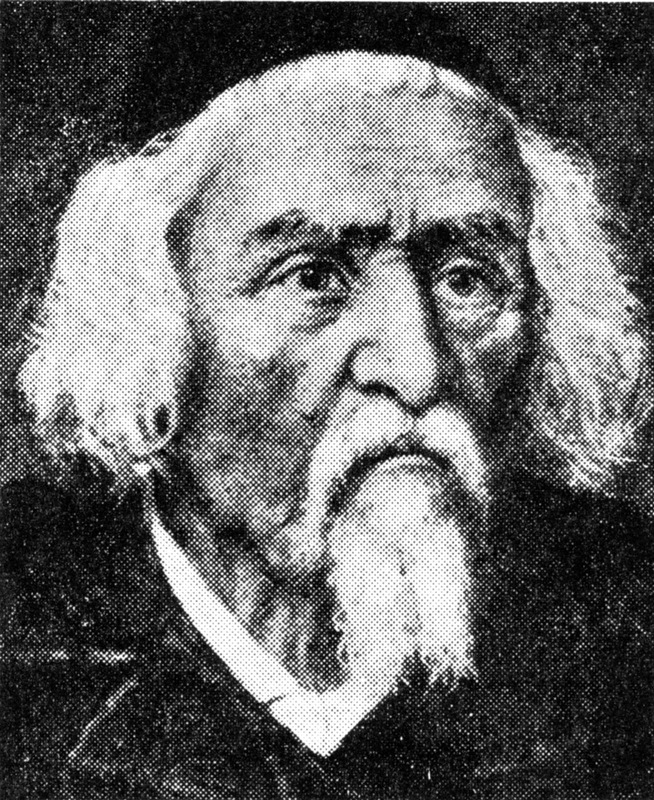 As the Sages teach us in Pirkei Avos, "הוי שקוד ללמוד תורה, ודע מה שתשיב לאפיקורוס" - "Be diligent in studying Torah, and know what to answer the non-believer." The first priority must always be Torah study. 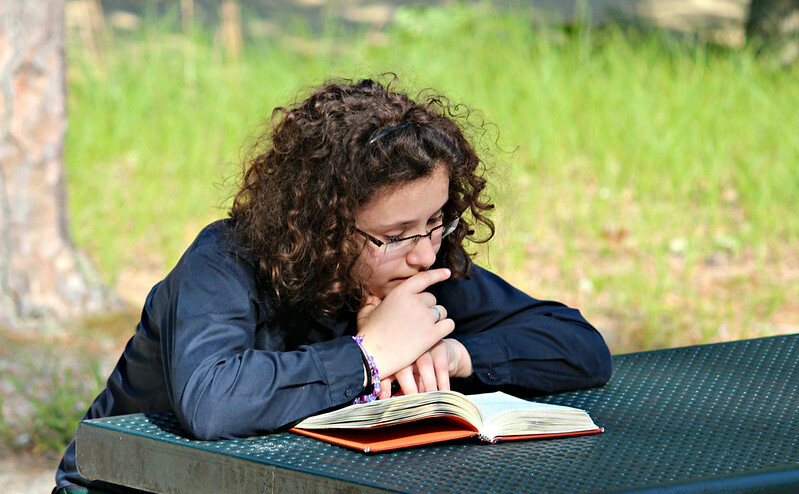 Nevertheless, in our generation, I believe it is also necessary for our children to have some exposure to non-Jewish literature, carefully guided, so that the children learn to read and think critically about such material. I readily acknowledge that this is not necessarily an easy thing to do, and that it requires a great deal of effort on the part of parents and teachers. However, I believe that this is the only truly responsible and effective approach in our time and place. Parshas Nitzavim is a direct continuation from the end of Parshas Ki Savo, which we read last week. The main theme of Ki Savo was the Tochacha, the Admonition, in which Moses describes, in very harsh and frightening terms, the terrible punishment that awaits the Jewish people, as a people and as individuals, when they fail to obey the commandments of the Torah. Parshas Ki Savo ended with Moses again assembling the Jewish people for another speech, the bulk of which is in Parshas Nitzavim. In this speech, which is a follow-up to the Tochacha, Moses begins with a very brief review of their history so far (i.e. the Exodus from Egypt and the forty years in the desert) and then, in Parshas Nitzavim, he goes on to the discuss the eternal covenant between the Jewish people and God, and the critical concepts of galus (exile) and the ultimate geula (redemption). 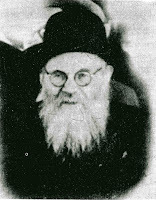 As understood by the commentaries, part of Moses' intent in this speech was to reassure the Jewish people that despite the apparent harshness of the Tochacha, the Jewish people would always survive and that, as long as the road may be, the inevitable end of history would be the return of the Jewish people to God and their ultimate redemption from exile. למה נסמכה פרשת "אתם נצבים" לקללות? לפי ששמעו ישראל מאה קללות חסר שתים, חוץ מארבעה ותשע שבת"כ, הוריקו פניהם ואמרו, "מי יוכל לעמוד באלו?" התחיל משה לפייסם, "אתם נצבים היום" - הרבה הכעסתם למקום ולא עשה אתכם כלייה, והרי אתם קיימים לפניה! Why was the parsha [that begins with] "אתם נצבים" - "You are all standing [today before Hashem your God]" placed next to the curses (of Parshas Ki Savo)? Because, when the Jewish people heard the ninety-eight curses (of the Tochacha), asides from the forty-nine curses in Leviticus (in an earlier Tochacha passage in Parshas Bechukosai), their faces turned pale and they said, "Who can survive these [curses]?" Moses began to reassure them, "You are standing here today!" - You have angered God many times and He has not destroyed you, and behold you are still standing before Him! Although this midrash clearly indicates that part of Moses' intent in this parsha was to reassure the Jewish people after the harsh words of the Tochacha, it itself requires explanation. At first glance, Moses seems to be saying that we don't really need to take the Tochacha that seriously, for, after all, God hasn't destroyed us yet, has He? However, it should be self-evident that this was not Moses' intent. If God tells us, repeatedly and emphatically, that our sins can lead to terrible punishment, then it would be utter folly to dismiss this as mere rhetoric. Indeed, as Jewish history has made clear all too many times, the curses of the Tochacha are very real. 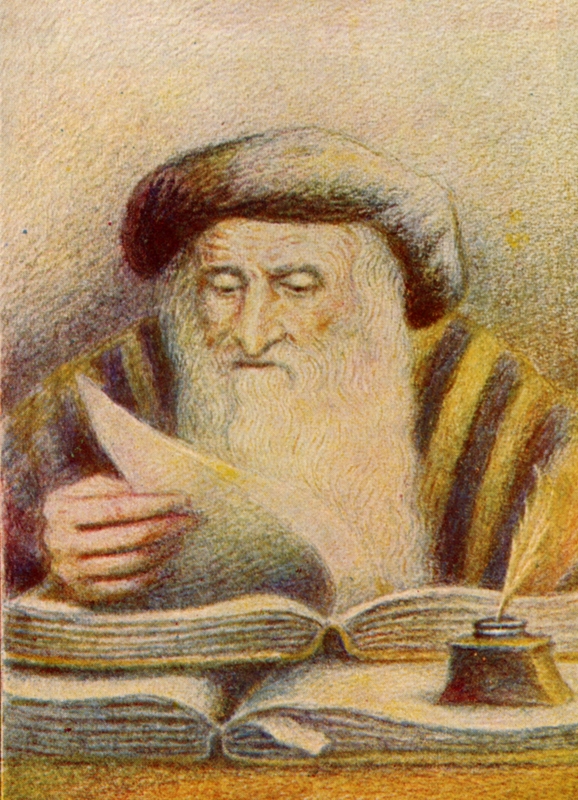 In addressing this question, the great mussar teacher, Rabbi Eliyahu Lopian (d.1970) explains that it is critical to understand that the purpose of punishment is never simply as "punishment" - i.e. simply to take vengeance against the sinner for his actions. Rather, the purpose of all punishment is for the benefit of the sinner, to break through the hardness of his heart and to motivate him to repent. He cites an analogy given by the Vilna Gaon (Rabbi Eliyahu of Vilna, d.1797) to planting a field. Before a field can be planted, the field must first be plowed over, so that the hard surface of the field is broken and the field is able to accept the seeds. Similarly, the Vilna Gaon explained, before a sinner can repent, the hardness of his heart needs to be "broken" so that the seeds of repentance can take root and grow. This is the meaning of the verse in Psalms (51:19), "The sacrifices of God are a broken spirit; a broken and a contrite heart, O God, you will not despise." Perhaps there is among you a man or woman, or a family or tribe, whose heart turns away today from Hashem our God... and when he hears the words of this curse, he blesses himself in his heart, saying: 'I shall have peace, though I walk in the stubbornness of my heart"... God will not be willing to forgive him, and then God's anger and jealousy shall be kindled against that man, and all the curse that is written in this book shall lie upon him, and God shall erase his name from under heaven. Ultimately, the curses of the Tochacha will only befall those who have no fear of the Tochacha. However, those who take the message of the Tochacha to heart, who recognize that they have sinned and that they need to repent, have already, through that very recognition, achieved the intended purpose of the Tochacha and have no need for the actual punishments. Even if a person is wicked and fails to serve God at all, but he is troubled and pained by this, such a person is not fully wicked, for there is hope for him that he will repent and return to God. However, one who is so wicked that he feels no concern at all about his wickedness, but is perfectly happy with his sinful behavior, there is no hope that such a person will come to repent [on his own initiative]. The punishments of the Tochacha are intended as a wake-up call for those who are so immersed in sin that they no longer even feel bad about it. On the contrary, they are perfectly happy with their behavior and see no reason to change. It is for such people that the punishments of the Tochacha are necessary to soften their hardened hearts and awaken them to teshuva (repentance). 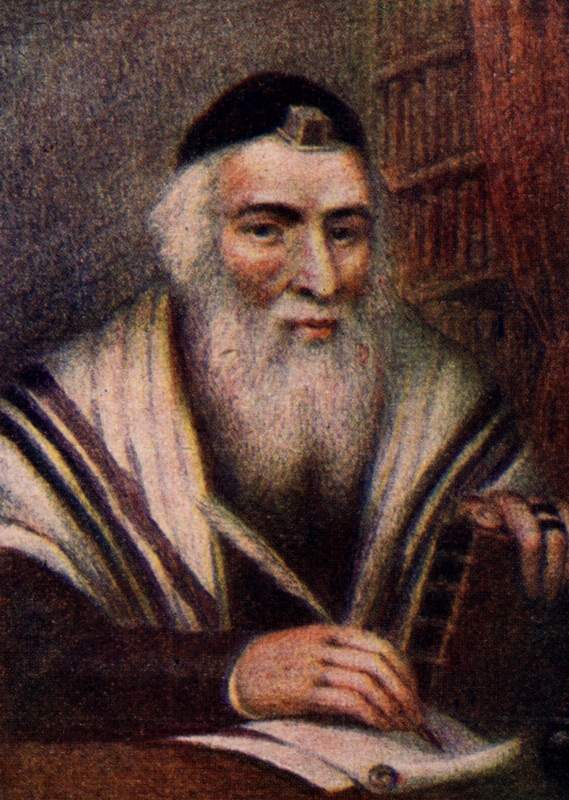 This principle is used by Rabbi Yisrael Salanter (d.1883) to explain an enigmatic Talmudic passage (Nidda 70b) which discusses an apparent contradiction between two Biblical verses. In chapter 18 of the book of Ezekiel, the prophet describes the great power of repentance and concludes (18:32), "For I do not desire the death of he that [should] die [for his sins], says the Lord, Hashem; [rather] repent and live!" This verse clearly states that God does not desire the death of the sinner. Yet, in the book of I Samuel (2:25) we find, in the case of the sinful sons of Eli, that the verse states, "that God desired to kill them." So we find that, at least in some cases, God does desire the death of the sinner! The Talmud resolves the apparent conflict with the brief statement, "Here [in Ezekiel] it speaks of those who repent and here [in Samuel] it speaks of those who do not repent." The problem, of course, is that the verse in Ezekiel is explicitly speaking of a person who has not repented! Rabbi Yisrael Salanter (אור ישראל ל', וראה גם ספר חכמה ומוסר ב:רמד) explains that in this context, "those who repent" does not refer to those who engage in full fledged repentance for their sins, but merely to those who are troubled and pained by their sins, for such a person is already on the path of repentance. In regard to such a sinner, even if he has not yet repented, God says that He does not desire his death. However, with regard to a sinner who is entirely untroubled by his sins, and of whom there can be no expectation of repentance, of such a sinner we are taught that God desires his death. This principle is particularly important at this time of year, as we approach the Day of Judgment on Rosh Hashana and we turn to God and ask Him to grant us a new year of life and happiness. As we stand before God in judgment for our sins, we recognize that, when all is said and done, we are very far from being able to genuinely repent from all of our sinful behaviors. How then can we stand before God and ask Him to forgive us, if we know that we will continue to do many of the same sins next year as well? Of course, part of the answer is that we have to find some area - even if very small - in which we really do improve ourselves. But what about everything else? Is God simply going to ignore it all? From what we have just learned, however, we can see that if we truly feel bad about our sins, even if we are not yet capable of changing for the better, then God will, to some degree, temporarily overlook those sins and give us time to grow and eventually reach the point where we will be able to truly repent. It follows from this that one of our main tasks at this time of year, from the beginning of the month of Elul until the closing prayer of Yom Kippur, is to work on an honest assessment of our weaknesses, to acknowledge that we need to improve, and to genuinely desire to do so. If we accomplish this, even if it only manifests itself in what, superficially, seems to be only a minor improvement, then we can truly turn to God with confidence that He will grant us a good and sweet new year.